As a girl, I studied the globe and pages of books filled with stories of people from many lands, gazed at traditional costumes on my porcelain dolls, memorizing skin tones and lace. I spoke with accents, learned to distinguish U.S. dialects and the origin of last names by my German-born papa’s hints. Twenty-two, fresh from college and a few months into my job as a legal secretary scoping out the law field, this month in Europe was a once in my lifetime adventure and fulfillment of a dream. My trek would lead imagination into reality. Free from duty, expectations and the frustrations of the previous four years, I would walk European soil as an adventurer. I’d spend graduation money (and charge too much on my credit card) for plane and train tickets and a huge backpack and see what happened. I shared bathrooms with strangers in questionable hostels, watched Madame Butterfly in London and Cyrano de Bergerac delivered in a Scottish brogue. I rode the Chunnel, ate baguettes and cheese in the French countryside, wandered ruins of ancient Scottish castles and savored turns of language and culture. I traveled for two weeks with my childhood friend, Joanna, met up with my then-boyfriend, Michael, at various points on his study tour, saw friends across the continent, and felt like a new girl. Maybe even a woman. Jo and I hugged good-bye in Paris, and I boarded a train to Munich alone. I didn’t know a soul in Germany. A few days later, I headed to my father’s hometown. The trek to Garmisch felt distinctly weighty, textured with mystery and history like a dark, rich tapestry unfurling. On the train, I talked with an older teenager named Laura (my maternal grandmother’s name) and her mother. I didn’t know where I’d stay, and they recommended Gästehaus Maria-Anna. Once there, the elderly innkeepers and I spoke a combination of little German and more English, and I learned they remembered my Grandfather Otto, my father’s father whom I’d never met. 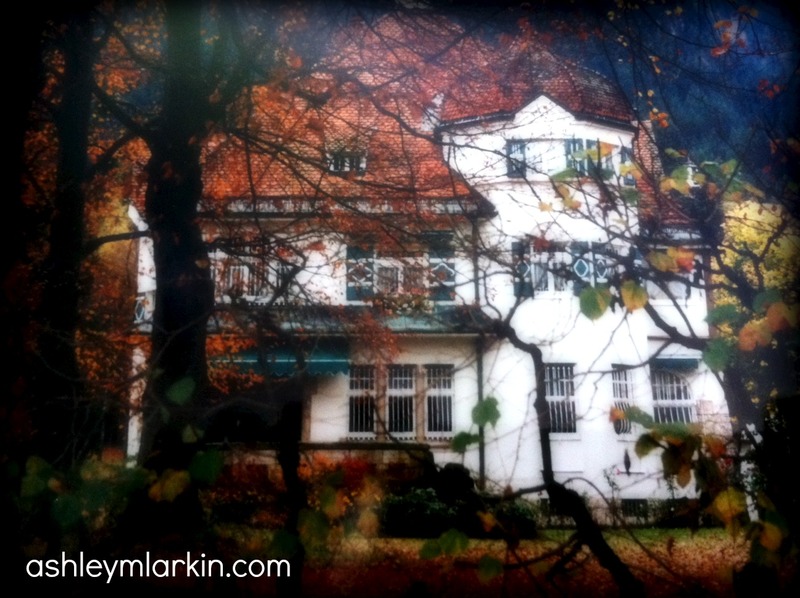 When I told them I wanted to visit the estate of composer Richard Strauss — a second home to my papi and the place where he developed his love for classical music and fresh-picked sunflowers and cherries — the couple pointed a few houses down Zoeppritzstrasse to a stucco home, framed by autumn leaves. The fibers of this town and place had long been woven into me, and now seeing and touching it, I knew I’d come home. Over the next several days, I hiked the Alps, explored, got lost. Stood on sidelines as kids ran the futbol fields like my papi generations earlier. Peeked through the fringe of rust and gold leaves and imagined my dad’s adventures. In the heart of town, brightly-colored flowers cascaded down the sides of wood-shuttered homes, and women shook dusty rugs. And I felt free and young like the flowers and filled with purpose like the women, releasing what we didn’t need to the winds. This is a piece of my story of traveling the world and finding God — the great tapestry weaver, the orchestrator of details, the purpose and plan holder, who never leaves us and loves with arms that reach around the globe. Today, I’m joining with my friend Emily Wierenga who this week releases her beautiful memoir, Atlas Girl. I’m losing myself in the story of Emily’s journey as a girl searching the world over to know she belongs. It’s filled with heartache (including her walk through anorexia and her mother’s battle with a brain tumor), hope and redemption. Pick up your copy at Amazon here, Barnes and Noble here or order through your local book seller. I’m so glad I did it, too, Teresa. Such an unlikely decision for a girl so scared to be alone (at that time), but you’re right. It was a coming full circle experience, made all the more powerful by doing it by myself. Thanks for your presence and words here. Oh so brave….and I learn we have more in common than I thought once again! I was a legal secretary too in my early years. 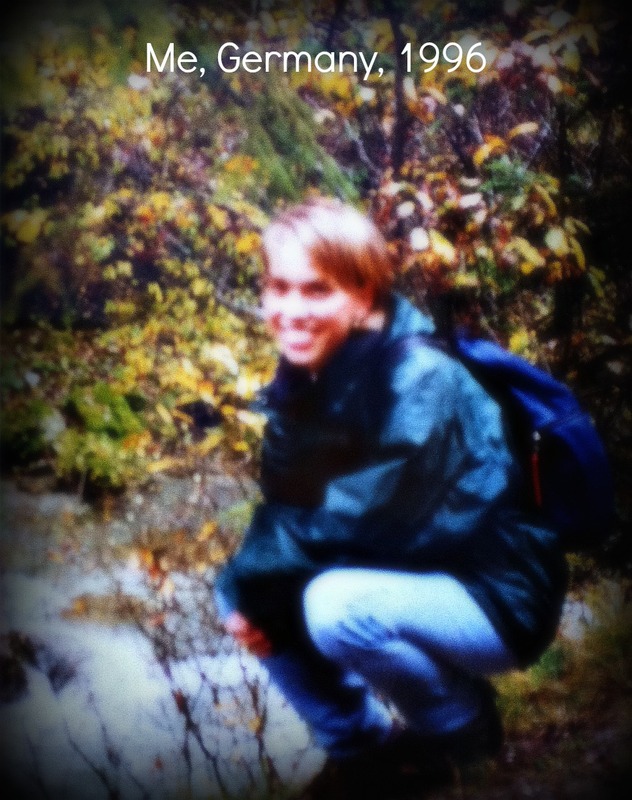 And, I traveled Europe when I was just 19 with my brother and sister while visited our father in Den Helder. It was quite an adventure. But you found your family roots there. My story is one of uprooting. God uses our travels to weave our lives together doesn’t he? Love you Ashley! Wow, Kelly. I would love to sit and talk long with you about your story and our stories — the places of overlap and difference and yes, all the ways travels help make us into who we are. Such journeys we live, whether coming or staying. Much love to you, friend. Girl… as always… you get me with just one line… ” releasing what we didn’t need to the winds.” So Much Yes! Let that be said of us! I love this Ashley! My son is leaving out tomorrow for a like adventure. I hope my oldest daughter will soon do so as well. When I turn 50, not far away, I am headed out on my own trek. You encourage and affirm the rightness of it all. Godspeed in all your going and staying. Oh, Kim. So happy for your son, hopefully your daughter and YOU. May God bless those steps of adventure and give each of you new eyes to see as you see so much that is new. Much love to you and your people. What a beautiful journey to read through your travels! I long to visit my German,Norwegian, European roots someday. Sounds like there was a lot of soul-stirring with the sights to behold and the treasures to be stored in your heart. Oh, Jolene. How I hope that you’ll be able to make the journey someday. Bless you, and thank you for your words here. Ashley, this was such rich, sumptuous, velvety story telling! Your photos render so beautifully too those memories become almost like dreams! Aw, thank you, Mama. I’m so glad you encouraged me to go. One of the best things I ever did…and I can imagine it required some big mama faith on your part, too. I love you.